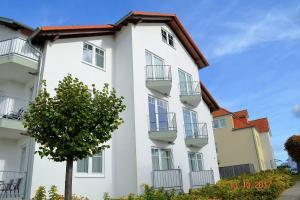 Featuring a balcony, Wilhelmstr-10-Whg-22 is a holiday home, situated in Ahlbeck. The unit is 300 metres from Ahlbeck pier. The kitchenette has an oven. A TV is available. Local-history exhibition about Ahlbeck pier is 100 metres from Wilhelmstr-10-Whg-22, while Ahlbeck Railway Museum is 500 metres from the property. Guests are required to show a photo identification and credit card upon check-in. Please note that all Special Requests are subject to availability and additional charges may apply. Please inform Wilhelmstr-10-Whg-22 in advance of your expected arrival time. You can use the Special Requests box when booking, or contact the property directly with the contact details provided in your confirmation. Payment before arrival via bank transfer is required. The property will contact you after you book to provide instructions. 객실 현황 확인 객실 현황 확인을 위해 희망하는 날짜를 입력하십시오. © 2019 by ahlbeck hotels.com. ALL RIGHTS RESERVED. Terms and Conditions. 더 많은 목적지. Member of Web Hotel Group.